Many cannabis growers care more about maximizing yield than anything else. But to maximize the flavor and aroma of your cannabis crop, you must pay attention to different factors. The most important compounds for providing fragrance and flavor are terpenes like limonene, myrcene and pinene. So let's take a look at how you can manage your grow to maximize your terpenes as much as possible. First off, let’s look at the basic steps all growers should take to make sure that terpene production is at least adequate! We’ve all smoked weed that tastes like straw – how do you avoid this occurring? In the end, some varieties of cannabis just don’t smell or taste that great, compared to others. Of course, this is subjective, as some people just dislike the particular aroma of, say, NYC Diesel or Cheese. These strains contain lots of terpenes but have a very distinctive, pungent aroma that some people dislike. 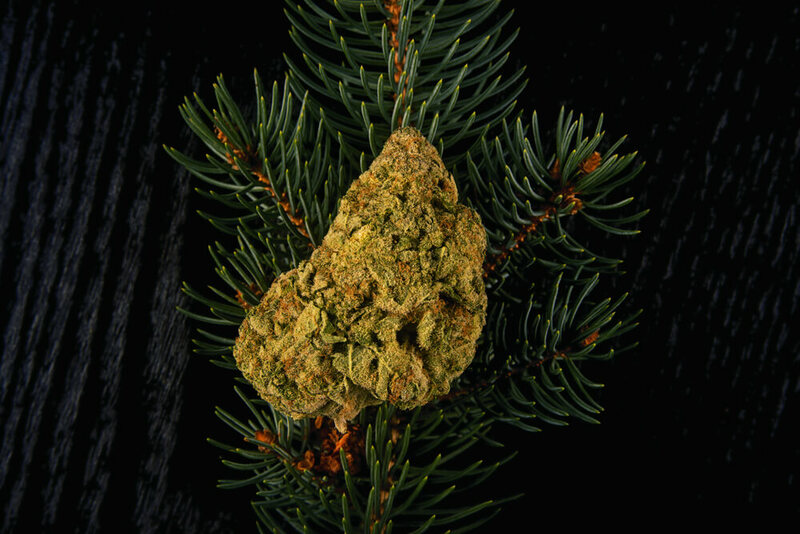 But there are also plenty of varieties out there that are simply poor producers of terpenes. For example, many “early” and auto-flowering strains are relatively low in terpenes. Ruderalis and other cannabis types adapted to cold northern conditions generally don’t produce many terpenes or cannabinoids. They have to put their energy into withstanding the harsh weather, and producing seeds as quickly as possible before dying. Compared to a tropical Thai Sativa, or a rich, earthy Afghan Indica, these weedy northerners are unlikely to yield fantastic terpene profiles. As well as this, even varieties that produce a lot of terpenes may not always be consistent. If you grow from seed, you may experience a lot of variation between plants. Some strains have distinct phenotypes that may all have a different terpene profile. It’s a good idea to take clones from the most fragrant plants to maximize your terpenes consistently in future. Keeping your temperature within the correct range is an important way to maximize your terpenes. Perhaps most important of all, you must make sure temperatures are not too high. Excessive heat stress can cause your plants to stop most growth processes – generally, anything above 32C/90F will reduce performance. If you stay above 35C/95F for prolonged periods, the stomata (the tiny leaf-holes that help the plant breathe) may close entirely! At these temperatures, the terpenes can literally be burnt off the plant, as they are volatile and evaporate at relatively low temperatures. Overall, the daytime temperature sweet spot is around 25C/77F – 27C/80F. Maintaining those temperatures will help you to maximize your terpenes. This is particularly important in the last few weeks of flowering when terpene production peaks. Make sure that nighttime temperatures don’t get too cold, as temps below 16C/60F can harm your plants. However, keeping temps as low as possible at night may help bring out more terpenes, as well as any pink or purple tones! Just be careful not to invite mold into your grow room – and remember temperature fluctuations higher than 10C/20F can cause mold! It’s always important to keep your relative humidity in the correct range when growing cannabis. If conditions are too moist, mold and mildew can ruin any chance of a fine-tasting harvest. On the other hand, keeping your humidity levels low may actually assist in the production of terpenes. Generally, keeping humidity no higher than 50 percent throughout flowering is a good rule of thumb. In the last few weeks of flowering, drop to 30 percent humidity to give your plants an extra stress boost prior to harvest. You can reduce humidity directly by either raising grow room temps or by using a dehumidifier. If you raise grow room temps, make sure they stay within the correct range. Another type of stress that can increase terpene production is pruning. When we prune leaves and small branches, we stress the plant, which provokes it to put extra energy into the remaining stems. It also makes the plants think it is being eaten by herbivores or insects. Cannabis produces terpenes partly as a defense against insects, so when this happens it produces extra terpenes in response! The best way to prune cannabis is still quite controversial. Some recommend aggressive defoliation throughout vegetation and flowering, to concentrate as much energy into flower and resin development as possible. Others argue that low-stress, strategic pruning and defoliation directs light exactly where it needs to go. The best approach may also depend on the strain. Work with your favorites, and try a few different methods to really get your terpene production dialed in. Note: defoliation (leaf removal) is something that widely done by grape farmers in the wine industry. It’s well accepted that this increases light availability to flowering/fruiting sites – and the more light that penetrates, the more terpenes are produced! All growers should make it a priority to maintain a healthy root zone, with a wide range of microbes. Beneficial microbes include hundreds of species of bacteria and fungus, which work together to deliver nutrients through complex organic pathways. Maintaining a healthy root zone helps to ensure that resin and terpene production is high and that flavors are balanced. If your root zone is unhealthy, it could lead to nutrient buildup and deficiencies in the plant, which can seriously impair flavor. A critical step for ensuring a smooth-tasting harvest is flushing your plants with water for the last week or two of flowering. This doesn’t actually raise the terpene production but does remove nutrient buildup in flowers and leaves. If nutrient traces remain in the flowers when smoked, the unpleasant taste may overwhelm any terpenes. Of course, it goes without saying that you shouldn’t overfeed your plants if you want to maximize the flavor. Make sure that you stick to the recommended dose of nutrients, and check run-off pH to look for potential nutrient lockouts. So if you follow these steps, you should enjoy abundant terpene production at every harvest! Let us know what you think of this advice – have we missed anything? Have we got anything straight up wrong? Tell us all about it in the comments.